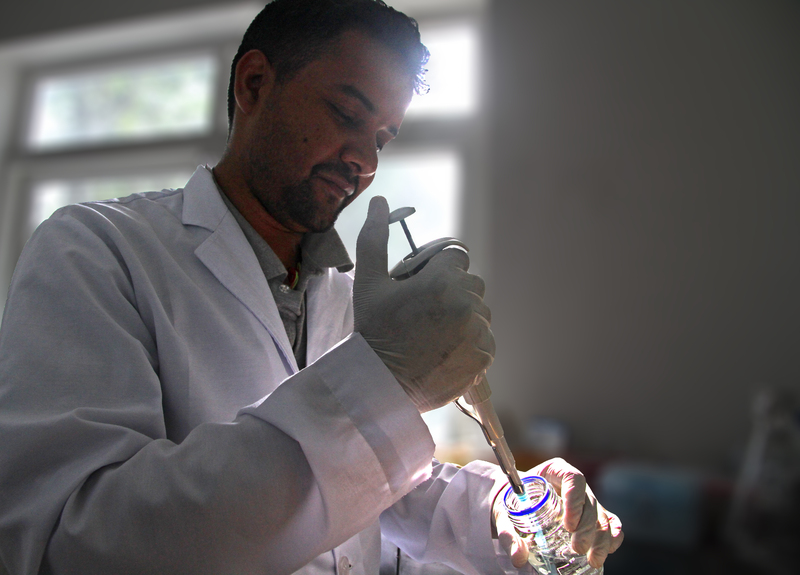 The four-room molecular lab situated at the top floor of the Biodiversity Conservation Center of the National Trust for Nature Conservation (NTNC) in Sauraha is the workplace of Dr. Amir Saduala, veterinarian and lab in-charge of the center. To explain the kind of work done inside the lab, he takes out a tray full of vials labelled FMD 2018 Sample. These are serum sample of livestock in the buffer zone of Chitwan National Park collected to assess the status of foot and mouth disease (FMD) through serological survey. The survey recently ended concluding 10.63% of the livestock in the park’s buffer zone are FMD positive. "It indicates there is the risk of transmission of FMD from livestock to wildlife as they share a common territory around the buffer zone and come in regular contact. This calls for the need to regularize vaccination of cattle in the buffer zone and surveillance of FMD among wild animals," Dr. Amir explains. 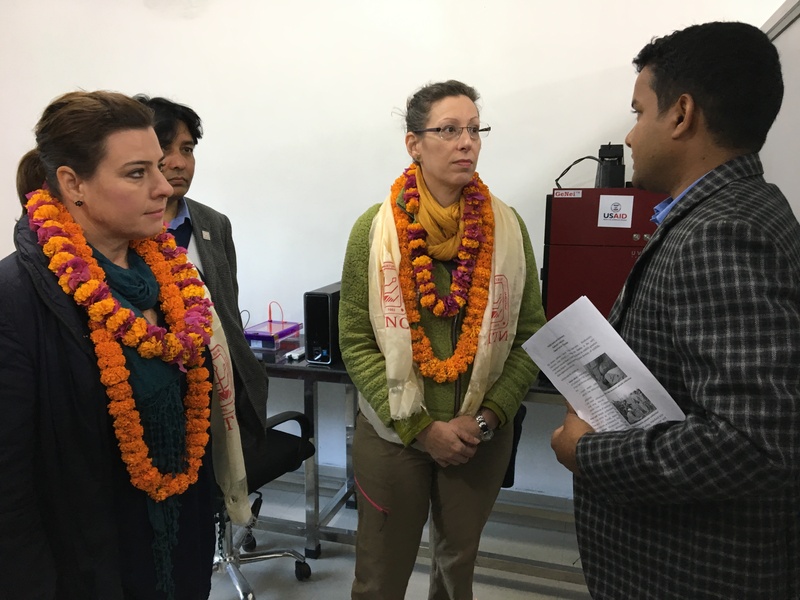 The molecular lab is the only government-owned lab in Nepal specialized in wildlife established in November 2016 with the support of USAID’s Hariyo Ban Program. According to The Status of Nepal’s Mammals: The National Red List Series, inadequate knowledge and research is one of the major challenge to wildlife conservation in Nepal. The lab was established, in effect, to build Nepal's capacity on wildlife disease and genetics thus ending the dependency on private and foreign resources. It is now the stop point for any wildlife-related cases in Nepal that require lab research. "The social approach to conservation in Nepal is a commendable success. We are now focusing on a scientific approach that generates evidence to drive conservation. The initiation of the lab dedicated to wildlife adds to the scientific drive." says Dr. Shant Raj Jnawali, Chief of Party of the Hariyo Ban Program. In 2015, a three-year-old elephant died of an unidentified disease at the Elephant Breeding Center in Chitwan. After the lab was established a year later, a test of the preserved sample of the same elephant concluded that the elephant had died of Elephant Endotheliotropic Herpes Virus (EEHV), a virus that affects young elephants. The lack of diagnosis and timely treatment on time, reduces the chances of survival to only 10%. Within a couple of years of its establishment, the lab has changed the course of treating EEHV. Once diagnosed, treatment can start as early as six hours. 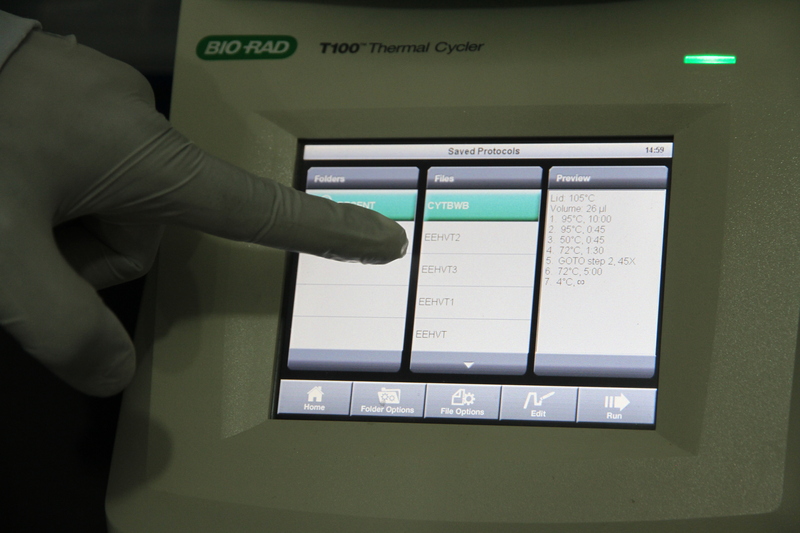 The lab can test all nine strains of EEHV and is accorded as an EEHV reference lab by International EEHV Advisory Group for elephant range countries of Asia. "Being a reference lab means our results are reliable and standard, proving our credibility." says Dr. Amir. Work is now in process to establish the lab as reference lab for two more diseases, canine distemper and canine parvovirus, that affect carnivores including tigers. Likewise, considering the limited availability of data on genetic diversity, the lab also performs genetic study of animals. For instance, swamp deer populations are found in Shuklphanta and Bardiya. Understanding the similarities and differences between these two populations becomes crucial to implement conservation interventions such as translocation. Genetic studies help to fill this gap. Similarly, in the future, the lab will be an important resource in addressing wildlife crimes once forensic services are added. The lab today has become an important centre for wildlife experts and students to carry out scientific research while contributing to the development of experienced human resources for the future. Dr. Amir completed his master's degree in Molecular Biology, but it took quite a while before he could work at a well-equipped lab where he could use all that he had learned. Today, he is part of the EEHV Asia and International Advisory Group and is leading the establishment of a similar lab in Myanmar with 4000+ captive elephants. "It was all because of the availability of the resources that I could move from assumptions to evidence and contribute to conservation while I grow professionally and academically." says Dr. Amir, "For me, it was a long journey to get here; for new generations, it will be much easier." 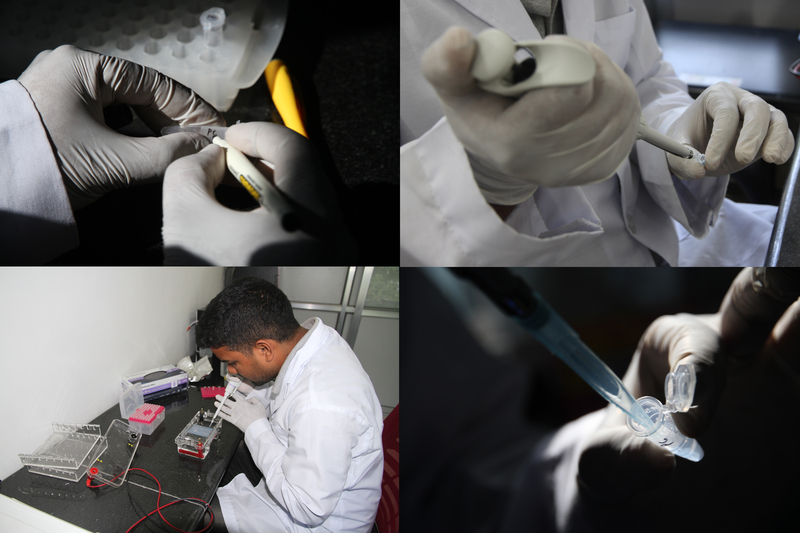 With the increase in importance for conservation research, the lab is taking a step every day to fulfill its objective to build national capacity on wildlife disease diagnosis and genetics which is likely to become more crucial in the future in the backdrop of increasing human-wildlife conflict and climate change. Disclaimer: The Hariyo Ban Program is made possible by the generous support of the American people through the United States Agency for International Development (USAID). The contents of this article are the responsibility of WWF and its consortium partners and do not necessarily reflect the views of USAID or the United States Government.